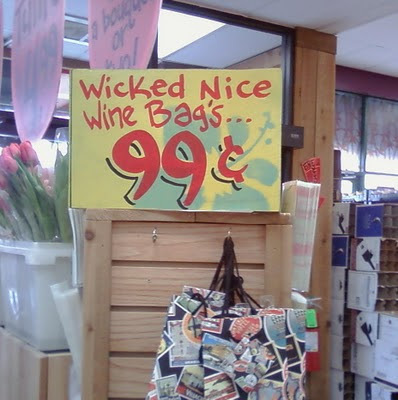 I usually stick to exclusive content, but I couldn't resist reposting this catastrophe that Megan sent me from her blog. 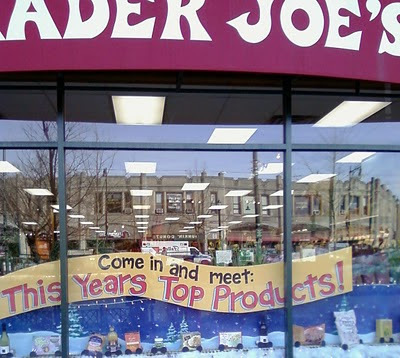 Jackie, the reader who submitted this apostrophe catastrophe (and a backwards apostrophe at that!) to Megan, has her own blog, too! Oh this crazy blogosphere. 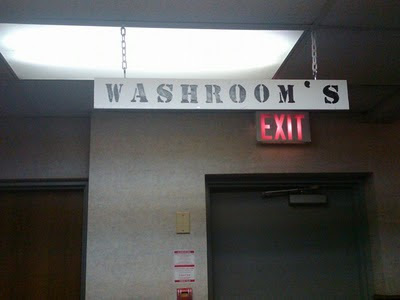 Jackie writes, "I was going to use the WASHROOM'S, but the sign made me lose my lunch instead!" Thanks to Megan and Jackie for this one. My workfriends were just laughing at me because I walked into a room I had never been in before and the first thing I noticed was that it contained a manila folder that said MENU'S on it. 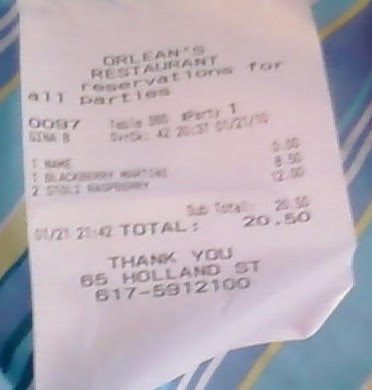 Similarly, when I get this receipt from a bar that I went to recently, I frantically ran over to show my buddies that the bar's name has a catastrophe in it. It should be Orleans as in New Orleans, or a town on Cape Cod. Yay for my friends putting up with my eccentricities. 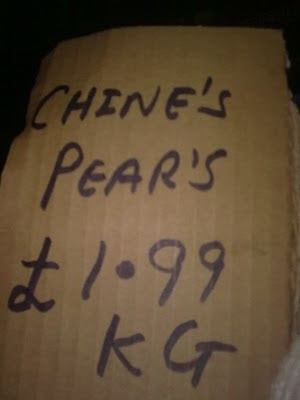 Kate, who sent in this latest example of terrible punctuation from West London, thinks the first word on this sign is supposed to be Chinese. She found the same mistake on the sign for plums. 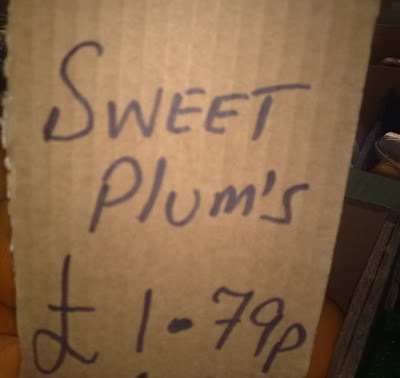 There's a reason why they call this mistake the greengrocer's apostrophe. 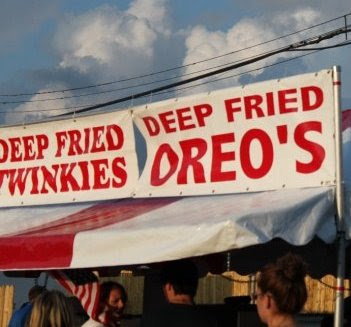 Besides the apostrophe catastrophe and missing hyphen, thinking about deep-fried Oreos kind of hurts my stomach, and my arteries. The sign makers managed to spell Twinkies right, but deep-fried Twinkies sound even more obesity-inducing. 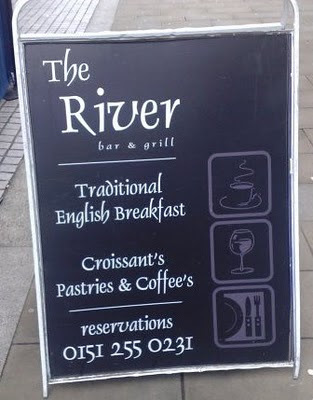 This cafe in Liverpool, home of the Beatles, has croissant's and coffee's, so why doesn't it have pastry's? 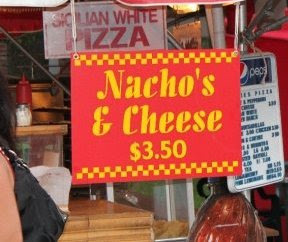 Thanks to Emma for submitting this double apostrophe catastrophe. 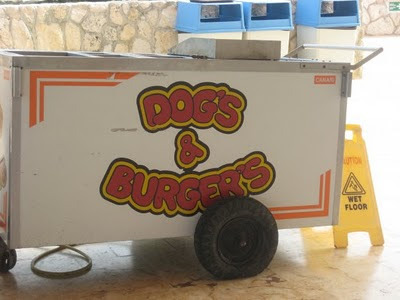 Regardless of the terrible punctuation on this cart, does it really look like something that should be serving food? I'll take two dog's [sic] and a side of food poisoning, please. Thanks to Meredith for sending in this photo from Cancun, Mexico. 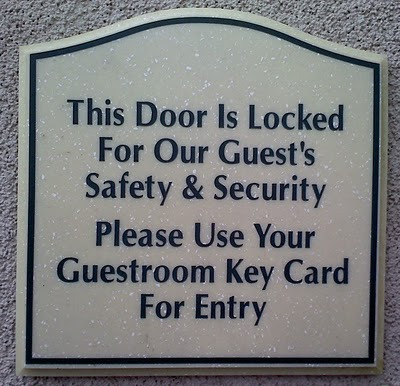 The sender wonders how this hotel stays in business with only one guest. Obviously, only one person is crazy enough to want to visit Long Island! I'm allowed to make that joke because I'm Long Islandian on my mother's side. It's not the inconsistent hyphenation in makeup (or make-up) in this ad that bothers me; it's the apostrophe in the word let's. 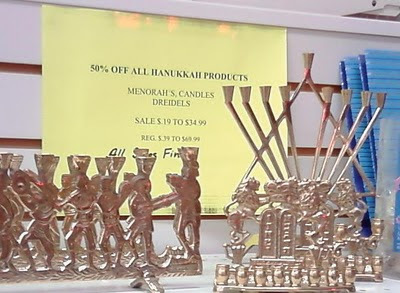 Check out the gray print in the middle to find the catastrophe. Thanks to Jace for sending this one in!